If you’re looking for an incredible vacation experience in one of world's most stunningly beautiful destinations, then look no further than Florianópolis, Brazil. 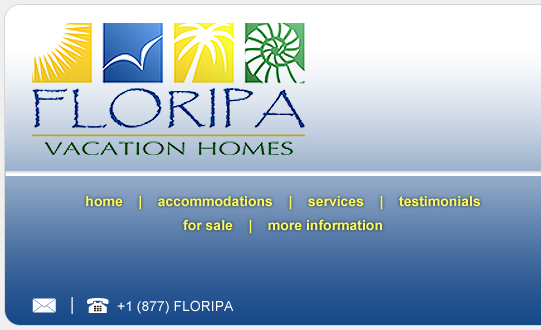 We proudly offer a selection of fully furnished Florianópolis vacation rentals, ideally located and staffed to ensure that you get the absolute most out of your vacation to Brazil. Situated in southern Brazil, Florianópolis (or Floripa, as the island is affectionately known by locals) is blessed with an unparalleled combination of natural beauty, world-class nightlife, sophisticated dining, adventure sports activities, exotic Brazilian culture, safety and a charming ambiance that enchants visitors from the moment they arrive. For more information about our Florianópolis vacation homes, ideally located and considerably nicer than any Florianópolis hotel, please visit our accommodations page. We offer housing options ranging from small and medium-sized townhomes to large luxury villas. Additionally, we provide access to an array of personalized services to further enhance your vacation experience, including airport transfers, maid service, rental cars, massage therapy, surf lessons, spa treatments and on-site property management. In addition to our Florianópolis holiday rentals, we are also intimately familiar with the Florianópolis real estate market and can assist interested buyers to find the vacation home or investment property of their dreams. For more information, please visit our for sale page.